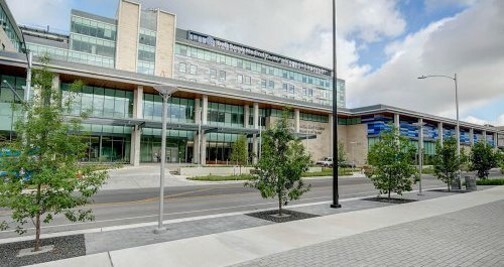 Central Texas Veterans Health Care System (CTVHCS), Dell Medical School at The University of Texas and Seton Healthcare Family are partnering to provide better access and more streamlined care for local veterans through a multicomponent initiative for improved education, clinical and research efforts. “This partnership with Dell Medical School and Seton allows the Department of Veterans Affairs to collaborate with community partners so veterans receive efficient, high-quality, person-centered care,” said Christopher Sandles, MBA, director of the CTVHCS. “Through this innovative partnership, veterans will have the best of both worlds — access to high-quality VA outpatient care complemented by world-class acute care from Dell Med and Seton,” Sandles said. CTVHCS served more than 110,000 veterans across 39 counties with more than 1.4 million outpatient visits during the past fiscal year. A primary care residency track for Dell Med and Seton’s residents at the CTVHCS. A designation for Dell Seton Medical Center at The University of Texas as the hospital of choice for inpatient referrals by the CTVHCS. A research collaboration to enhance therapies and knowledge to better treat veterans and others in our community. The internal medicine primary care residency track will improve access to care for veterans and enable new physicians specializing in internal medicine to hone their primary care skills while learning about veterans’ specific health needs. Research shows veterans endure mental health disorders, substance use problems, post-traumatic stress and traumatic brain injury at much higher rates than their nonmilitary counterparts. Every day, 18 to 22 U.S. veterans commit suicide. And even though better medical technology improves survival rates for today’s veterans, the trade-off is often traumatic limb amputation resulting in deep emotional health scars. “Veterans have unique health needs compared to civilians, and building a robust program of primary care residents especially benefits those veterans who would otherwise have limited access to care,” said Michael Pignone, M.D., MPH, Dell Med professor and chair of internal medicine. The residency track will also strengthen the pipeline of Dell Med-trained primary care providers into the local community to serve the growing health needs of Travis County residents. Another benefit of the partnership to veterans is that they will now receive seamless care from a unified clinical team between the Austin VA Outpatient Clinic and Dell Seton. Providers treating patients at the outpatient clinic will now be able to admit veterans directly to Dell Seton for inpatient hospital care. While at Dell Seton, veterans will be guided by a VA-employed care coordinator to connect them to resources specially designed for them. Previously, veterans needing to be admitted to a hospital had to travel to the main CTVHCS medical center in Temple. Or, they could be admitted to a local hospital but with a completely new clinical team, thus disrupting the continuity of care. In addition to the residency track and the inpatient referral system, CTVHCS and Dell Med are developing plans currently for future research collaboration and enhanced opportunities to create new therapies and improve care for veterans and the greater community.